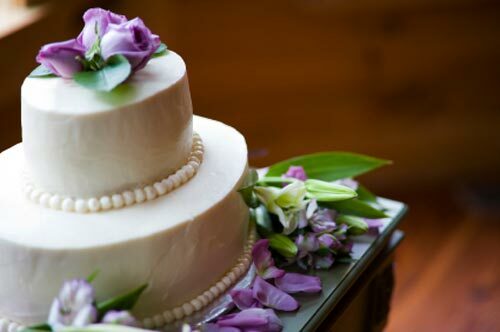 As beautiful as some of the vibrant colourful wedding cakes may be, it is important to not to discount the elegance and unspoiled beauty of simple wedding cakes. Less is often more and excessive pomp and detail can detract from the pure classic beauty of a traditional white wedding theme. There is a beauty to be had, in an uncomplicated message conveyed with dignity and class. 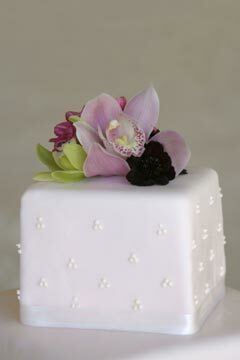 However, simple wedding cake designs are anything but simple. True, it may be simple chocolate cake or humble carrot cake, but it takes both skill and care to prepare a cake and make it elegant rather than plain, classy rather than basic. Simple cake decorating can take as much skill as constructing some art deco ediface. It is all about where the focus lies. 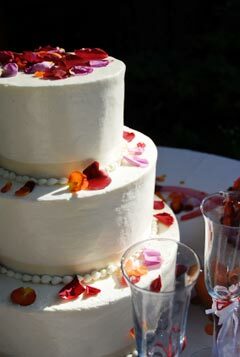 Simple cake decorations have been used for centuries because they remain true to their purpose - which is to celebrate the joining of two people in love. In the end, love is a simple business. No complications. No noise. Just the joy and simplicity of the marital union. What could be more elegant? 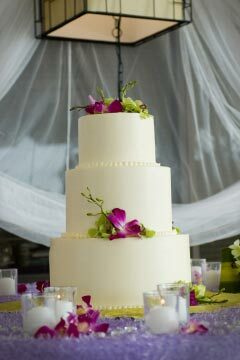 Here are some simple wedding cake designs and pictures of wedding cakes suitable for casual and formal weddings. Enjoy our gallery of elegant cakes. 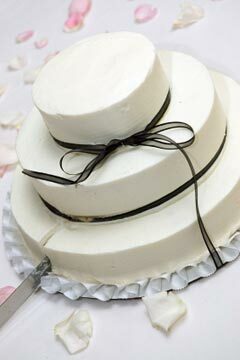 Simple wedding cakes and designs are very popular, as they look more appetising. 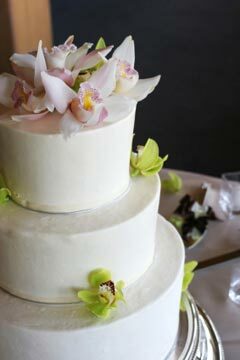 Designer wedding cakes on the other hand can look pretty amazing, but it really is a choice of personal style and taste. 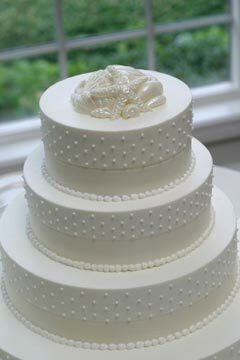 NOTE: Just remember, there is no competition for the best wedding cake it the world! Any wedding cake and be your dream wedding cake.